I started taking video in 1996 with my first camcorder – an impulse buy. I realised sometime in 1998 I could get reasonable video through my spotting scope. My first real rare bird video- scoped was the Druridge Slender-billed Curlew (video now on youtube). Over the next few years I became quite accomplished. I was contacted by Birdguides who wanted to use my video in their DVD and CD-rom identification guides. In 2007 I wanted a new challenge so I bought my first digital camera, a Sony P200. This was a very good camera at the time for digiscoping. The first few months of snapping away was a very hit and miss affair; getting a decent image more miss than hit, but with practice I gradually improved. My next camera a couple of years later was a Sony N1 which was a major let down due to several factors, e.g. lots of noise, dull colours of the image and the inability to get a sharp image. That camera lasted only months before I upgraded to the tried and tested (in digiscoping terms) Nikon P5100 and a great camera it was too. With this camera coupled to my Swarovski scope I improved a lot. I used this kit until about 2009 when a friend told me about some images he had seen on-line, digiscoped with a new type of camera. Panasonic had produced it along with a few other companies using what is called micro four thirds. Panasonics’ first was the G1 and the images on this website blew me away. To me this was the way forward!! I had to have this camera but by the time I had scraped the money together the G2 was out so that was my new acquisition. But, and there was a big BUT. It didn’t work! The vignetting was terrible. It was August and the Birdfair was coming up so I went armed with camera to ask advice from Swarovski as I suspected the lens was the problem: It could potentially be rectified with using Panasonic’s 20mm lens; £330 at the time GULP!!! So I bit the bullet and purchased this cracking little super fast lens that has transformed my digiscoping. I used this camera, still on my swaro scope, for prob the next two years ’till a friend asked if I was interested in buying his Panasonic GH2 which had 16 mega pixel up from the 12 of the G2. This is now my current set up: Panasonic GH2 with 20mm lens on a Swarovski 80mm HD with 30x wide angle lens using Swarovski’s DCB1 bracket plus hahnel combi tf wireless remote. Quick low down on my camera settings: camera always set on aperture priority, focus set to manual most of the time, iso set manually ( this gives you some control over shutter speed I set the iso up to 1250 if I need a fast shutter for something like a flight shot). I also shoot in burst mode which gives me roughly 5 frames per sec. I always have the aperture set at f1.7 (gives fast shutter). When shooting I try to get something different from a bird just sitting on a branch the trick is to anticipate when a bird is going to do something i.e. when a bird is preening they very often finish with a stretch of its wings always looks good. Stand there with finger on trigger ready for that moment. I always if possible try to give the bird uncluttered surroundings, backgrounds are important to try to give some distance between the bird and say for instance bushes behind this gives a pleasant blurred background. I use Lightroom to edit but do only a few things to enhance: crop,levels,saturation, and last sharpen. 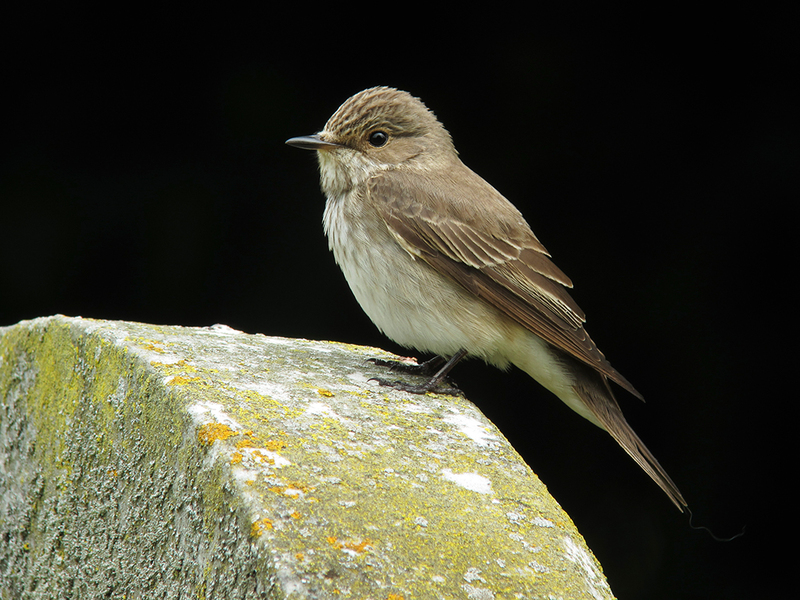 I’ve been rather side-tracked this summer with surveying Corn Buntings, but I did pop along to my local churchyard to see its Spotted Flycatchers. There were two pairs with at least one of them feeding young. In previous years I have had a wonderful photographic relationship with these birds. 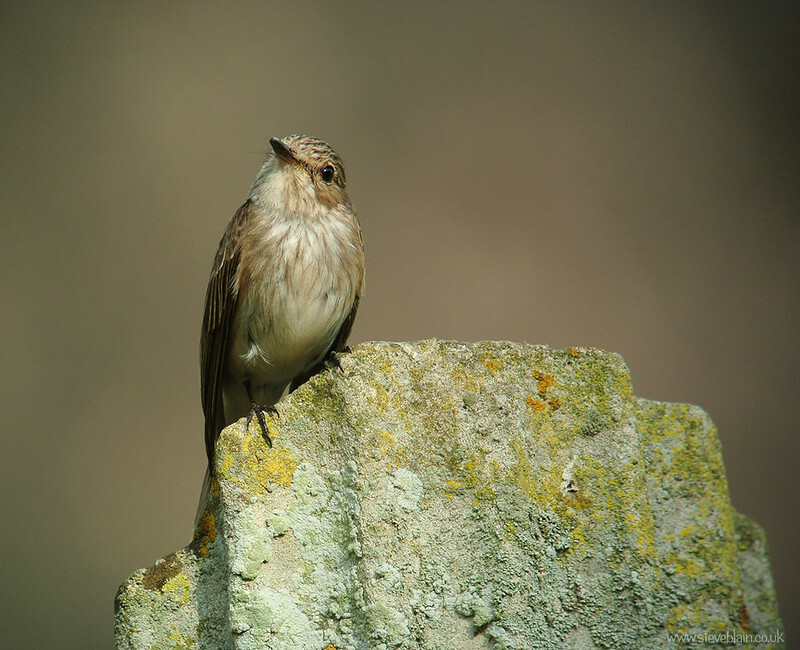 They would often fly-catch from the gravestones just a couple of meters away, seemingly oblivious to my presence. Below are a few assorted shots from a couple of visits this summer and a few from last. The light was always best in the evenings so short visits after work made the most of it and kept disturbance to a minimum. They can be difficult birds to expose for – often a bright bird on a dark background of deep Yew tree shadow. Here spot-metering off the focus point managed to achieve best results (see images below). 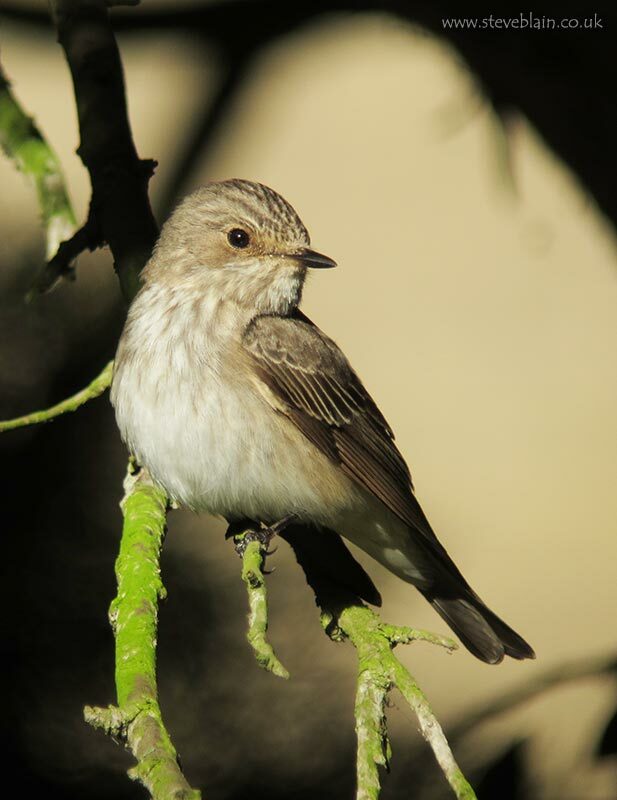 However an eye had to be kept on the results as sometimes my camera under-exposed the flycatcher and made the images look dull. 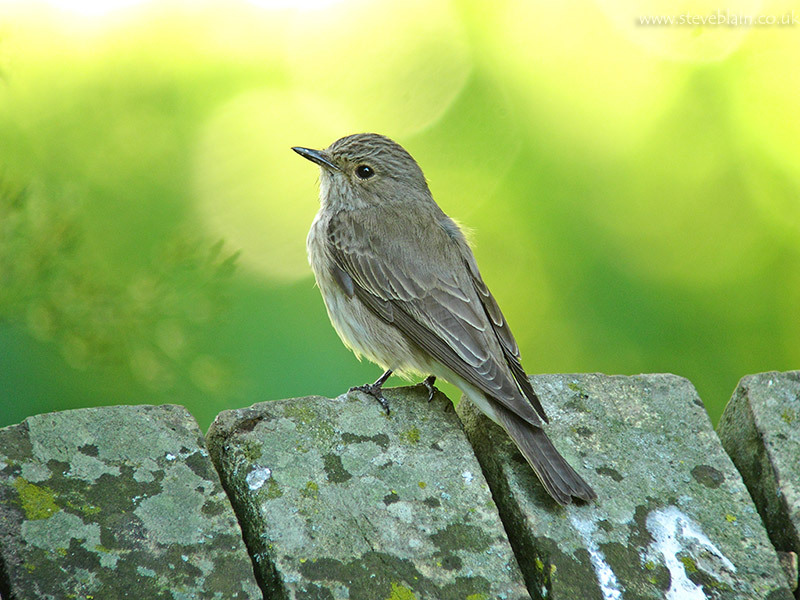 Even though flycatchers are stationary for a few seconds at a time, panning after them, focusing and pressing the shutter often resulted in a missed opportunity. Sometimes it was better to just watch which perches they favored and pre-focus the scope on them. All you then had to do was do some slight adjustments to the positioning when a bird alights, and gently squeeze the shutter-release to nail a shot. Not rocket-science but a smooth gentle action was needed to keep vibration to a minimum after focusing, and before you can be confident of a shake-free shot. 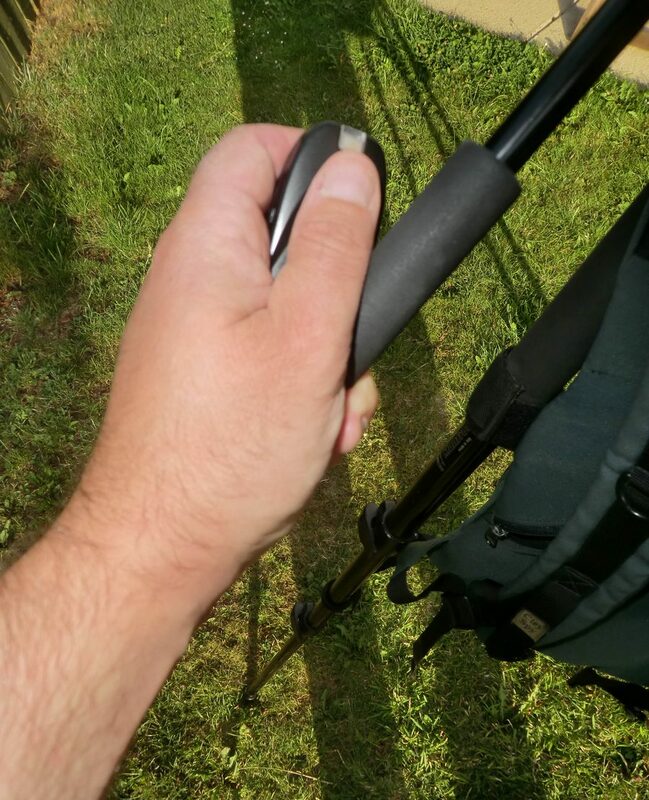 Sometimes, the quieter summer period can give you a chance to hone your skill. 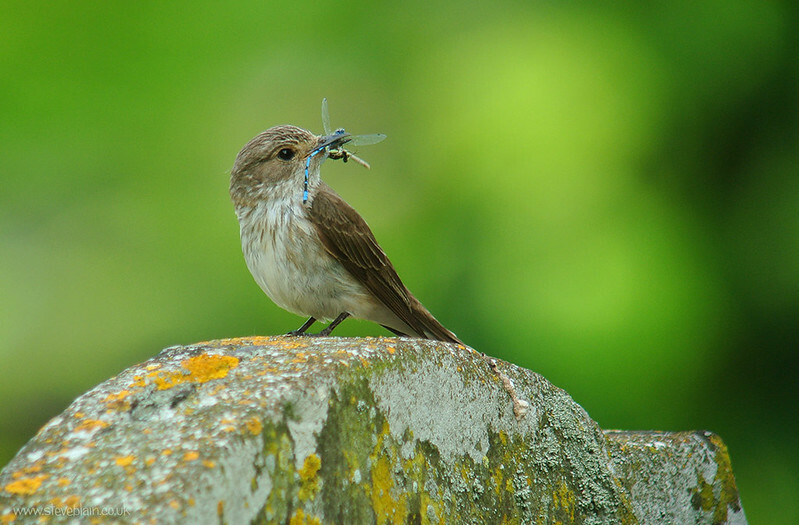 And these Spotted Flycatchers made a great summer project! 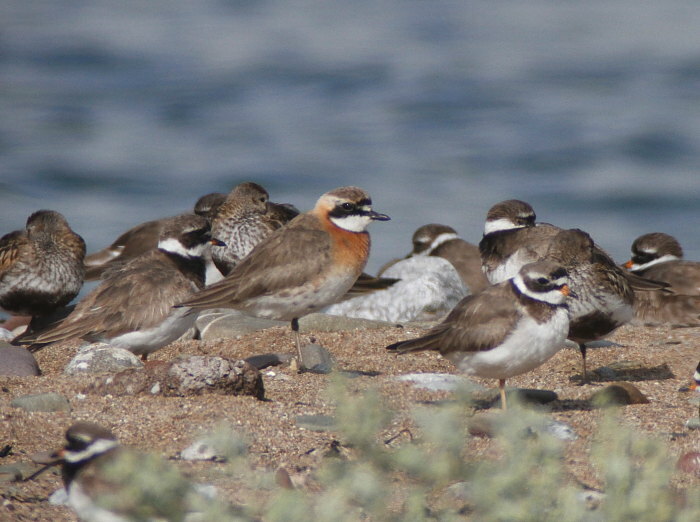 ……..Adult male Mongolian Plover, Pilmore Strand, Cork by Aidan G. Kelly. 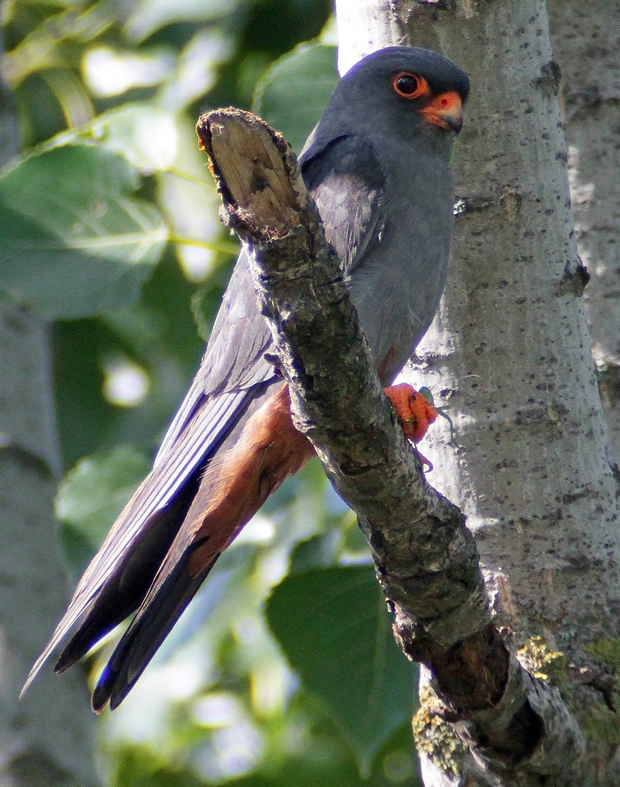 “Yes, photo on Surfbirds and YouTube clips all taken with ATX95 with TLS APO using a Canon 7D. 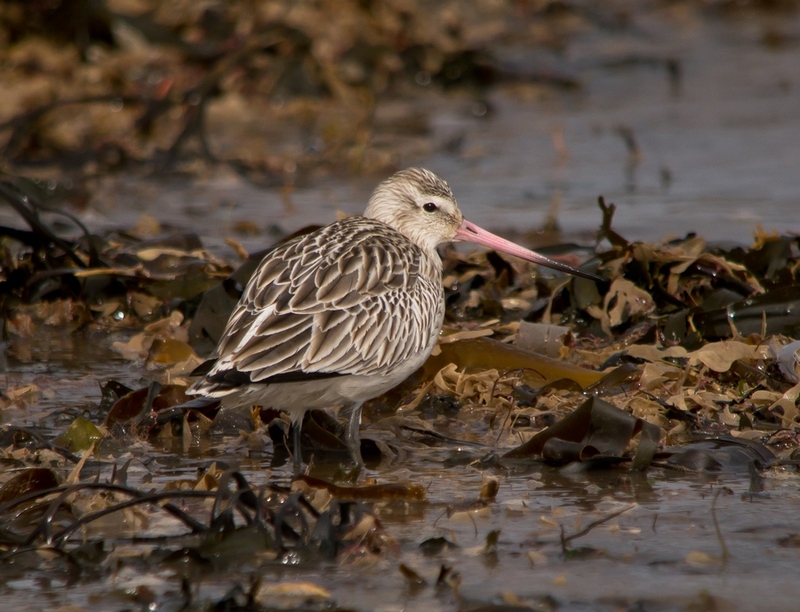 Have had a few Irish birders who were on site with me using DSLR and prime lenses (and with variable results due to distance /heat haze) being surprised at the quality which I got with the new kit! 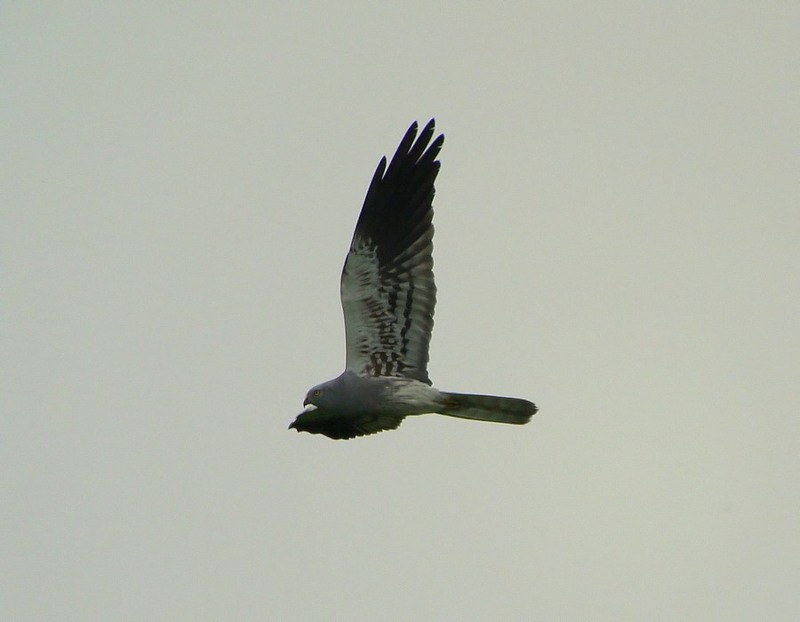 First twitch with the new scope and lot of birders who hadn’t seen it before, were very impressed with it yesterday. The aim of the 8th Digiscoper of the year competition is to discover the beauty and diversity of nature and to capture priceless moments. This year, the competition has four specific themed categories – including video – making it possible for entrants to submit a wider variety of subjects and settings for the competition. A jury of top-class experts will select the winners. 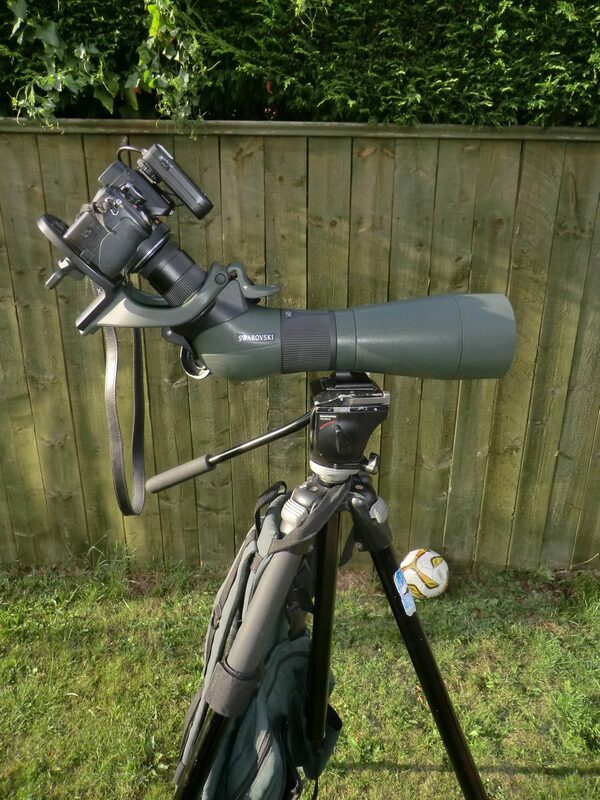 The first prize is a full set of SWAROVSKI OPTIK digiscoping equipment. 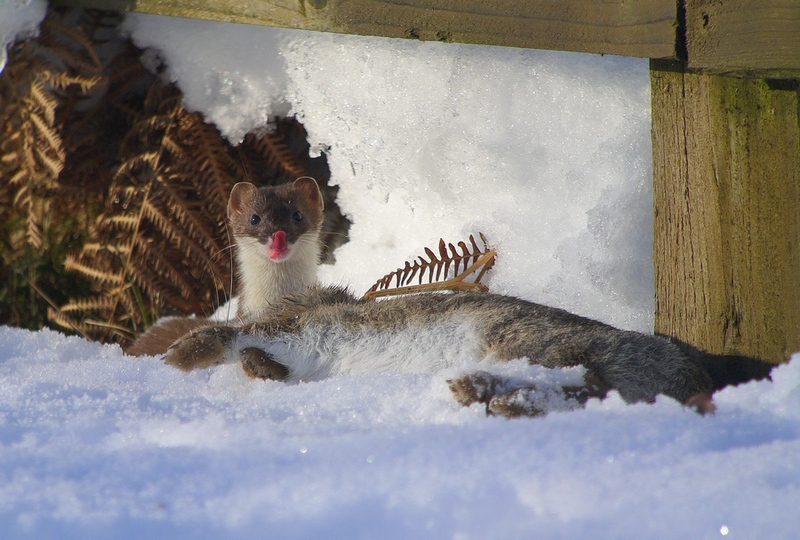 All digiscoping fans are invited to cast their vote for a winner each month via the SWAROVSKI OPTIK Facebook page. The competition begins on June 3, 2013 and the closing date for entries is September 30, 2013. 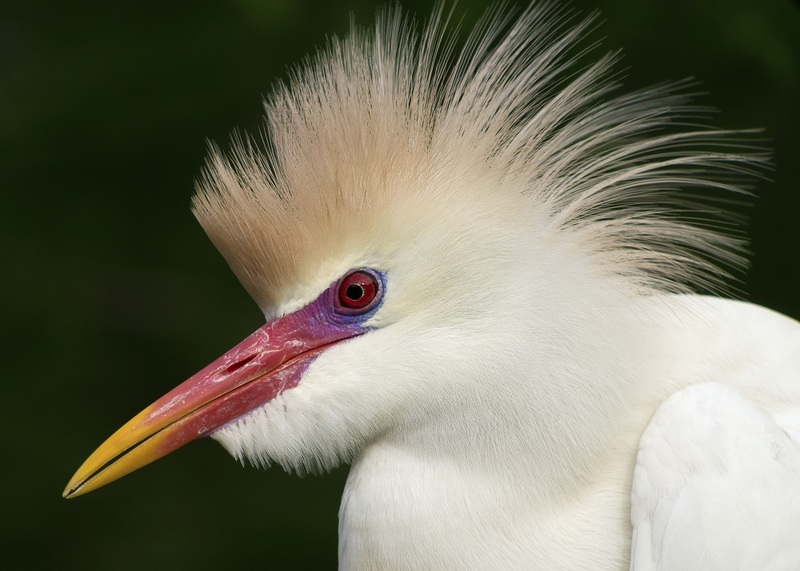 The variety and uniqueness of nature fascinate and inspire: worldwide there are more than 4,500 types of mammals and over 9,900 species of birds, each unique in its appearance and behavior. 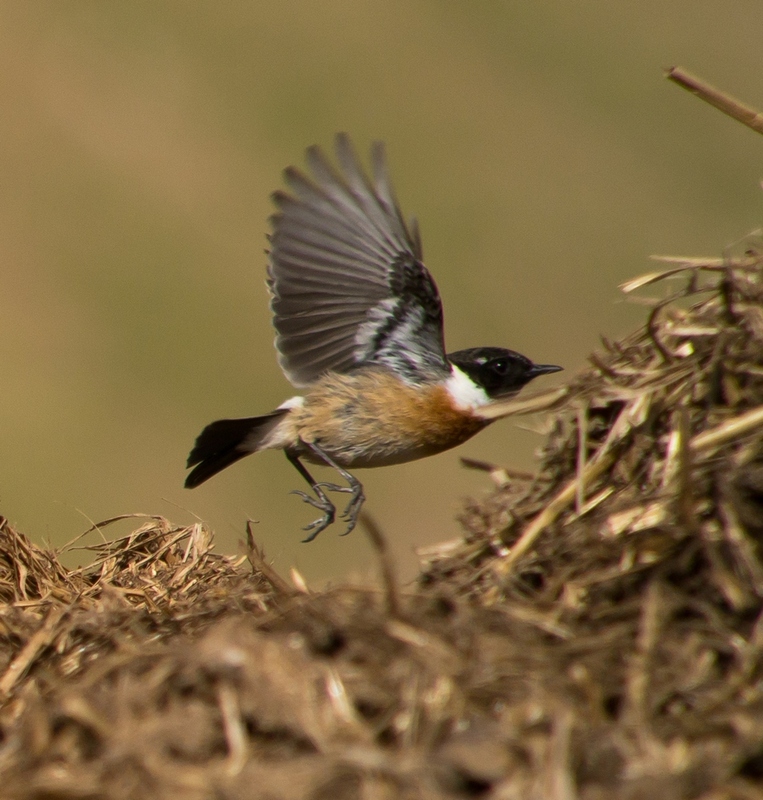 As we continue to discover and explore wildlife, fresh questions constantly arise but however different the answers may be, nature will always be a part of them..
Digiscoping – taking photographs through a spotting scope – is a way of discovering and preserving nature, in particular the huge variety of species on earth. In the context of the competition, SWAROVSKI OPTIK defines digiscoping pictures and digiscoping videos as digital pictures and videos of animals in their natural habitat, taken with a digital camera through the eyepiece of a spotting scope. To be able to include more subjects and photo opportunities in the competition, there are four categories this year: “Behavior and action,” “Portrait,” “Mammals,” and “Videos.” The winning photos in each of these categories will be chosen by a jury of the relevant experts. There will be one winner per category, one of which will be the overall winner and given the title “Digiscoper of the Year 2013”. The first prize is a set of SWAROVSKI OPTIK digiscoping equipment (ATX or STX eyepiece modules of choice, digiscoping adapter, spotting scope rail, tripod, and tripod head) – for even more pleasure in discovering when digiscoping. The other three category winners will each receive a SWAROVSKI OPTIK EL 32 binoculars. “Digiscoper of the Year” on Facebook. SWAROVSKI OPTIK will select 15 pictures from all the photos submitted each month and publish them on www.facebook.com/swarovskioptik. All digiscoping fans are invited to choose the three pictures they like the most (based on the number of Likes). The most popular video each month will also be chosen on Facebook. The three most popular pictures and the most popular video each month will each receive a valuable SWAROVSKI OPTIK fleece jacket. Digital and video cameras, smartphones of any kind, and any commercially available spotting scope and eyepiece may be used for the competition. Pictures may only be submitted by uploading the files on www.digiscoperoftheyear.com. Videos should be no more than 60 seconds long and should be supplied in a minimum quality of 720p, only via YouTube/Vimeo. Photos and videos that have been digitally manipulated are not allowed in the competition. However, retouching e.g. contrast, brightness, or sharpness, is allowed, but the original picture or video must be available in the unprocessed format. 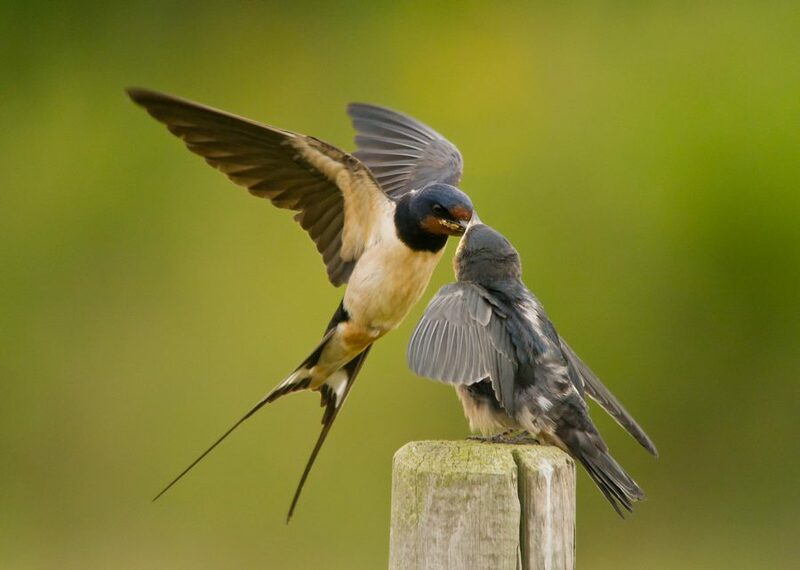 Birdwatch Magazine (UK), the Bavarian Society for the Protection of Birds (Germany), and the Dutch Birding Association (Netherlands) are partners of the competition. 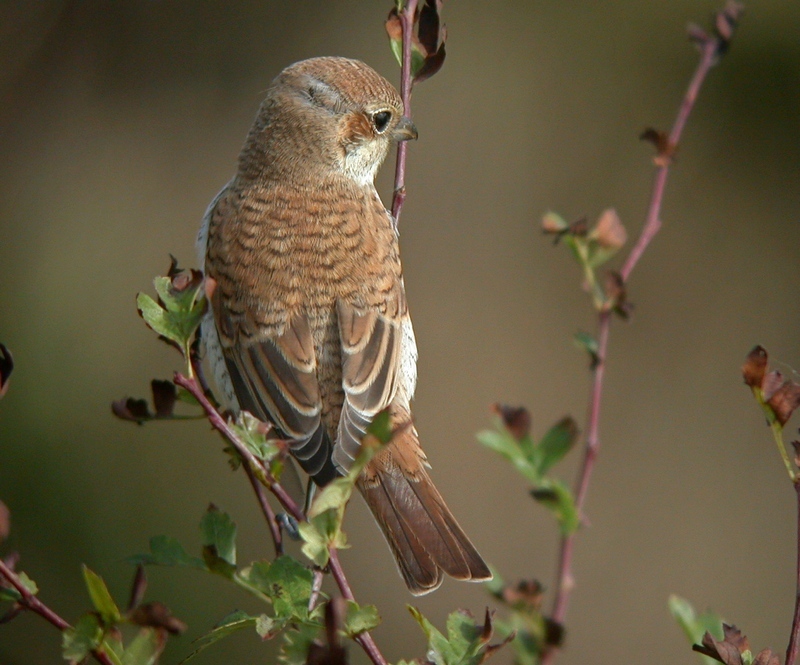 This juvenile Red-backed Shrike was near South Landing, Flamborough in Sept. 2005. Just by hand holding the camera up to my old Leica APO 77 ‘scope I did OK. An early (probably Greenland) Lapland Bunting and a migrant male Stonechat also got nicely caught on camera that day. But with new cameras, more gizmos and greater expertise I only seemed to get worse. A failed digiscoper. So I quietly shelved the habit for several years. 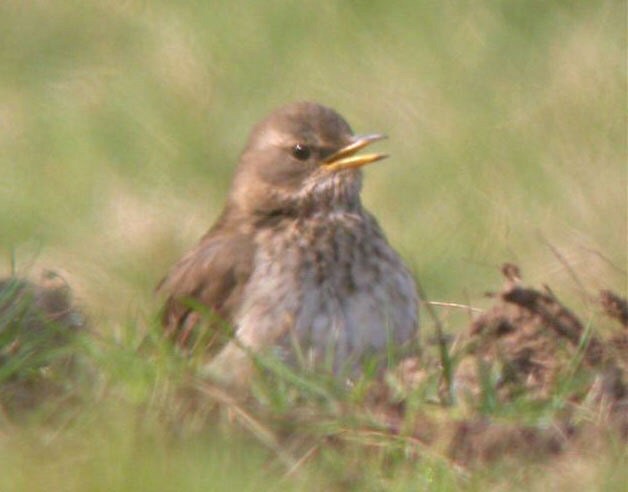 female Black-throated Thrush at Buckton, Flamborough in March 2007. I blew it! This somewhat distant bird kept disappearing from view and I figured out where it might be more easily viewable. Away from the little gathered crowd my hunch proved correct. Peering through a gap in the hedge the bird was much closer and relaxed. Should have easily been the best photos of the bird! I wonder what could have been caught on digi- video? However, I was poorly practiced with a new camera (which I never mastered) and should have done so much better than this blurry shot. One of several examples of getting worse and not better! I knew the power of it to capture images beyond the easy reach of DSLR cameras, but it was seeing a video of Richards’ Pipit which James Lees sent me that reignited the interest. Video. Taken with little pocket camera through James’ scope I was impressed. Similarly informed on the tremendous usefulness of video from working with artists David Quinn and Ian Lewington, I decided to try again. Plenty of inane questions followed alongside patient instruction from James, Paul Hackett, Steve Blain and others. I am a failed digiscoper no more. Definitely a learner, but at least an encouraged one. It’s working again. 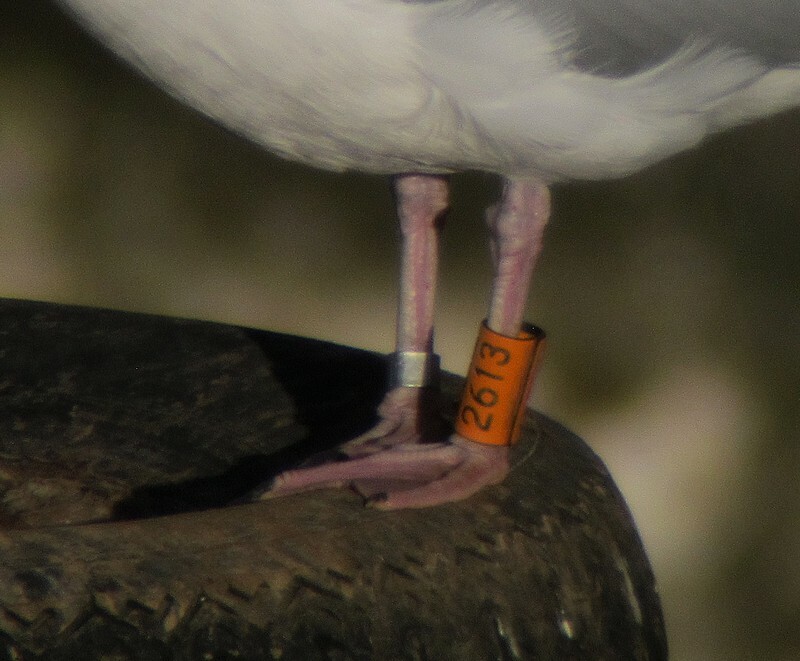 ‘Powder Down’ may explain this curious plumage of what was already an exciting bird to see being only the 3rd record in the Flamborough area of East Yorkshire. 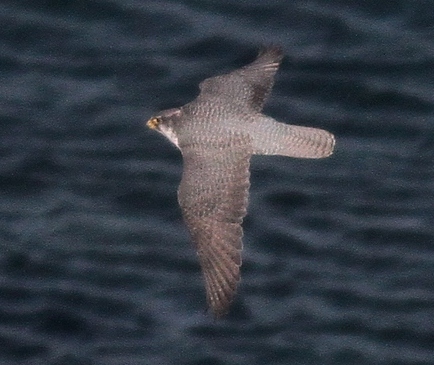 An iconic falcon sits on distant rocks or pod of Orca surfaces while seawatching. You have very little time and are being buffeted by an icy wind. What to do? Grab some video. Not perfect but very satisfying. 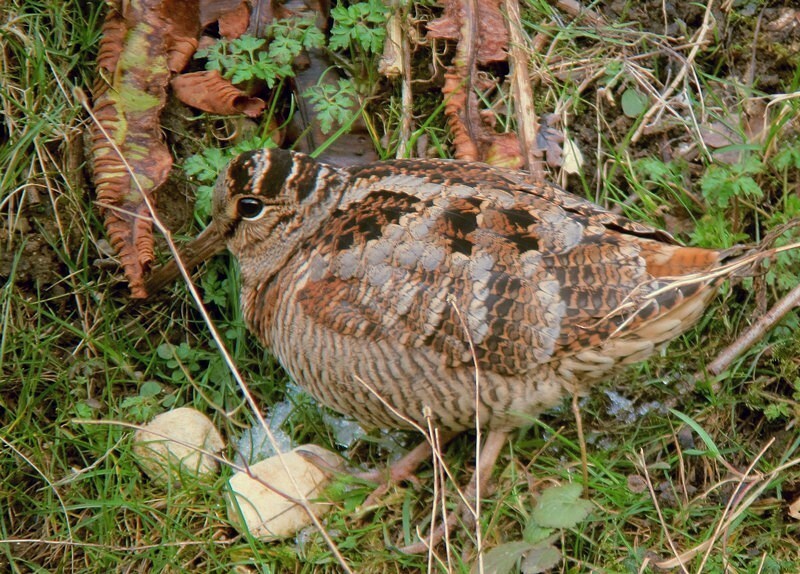 How many have ever seen woodcock, on the ground in the daytime – feeding? 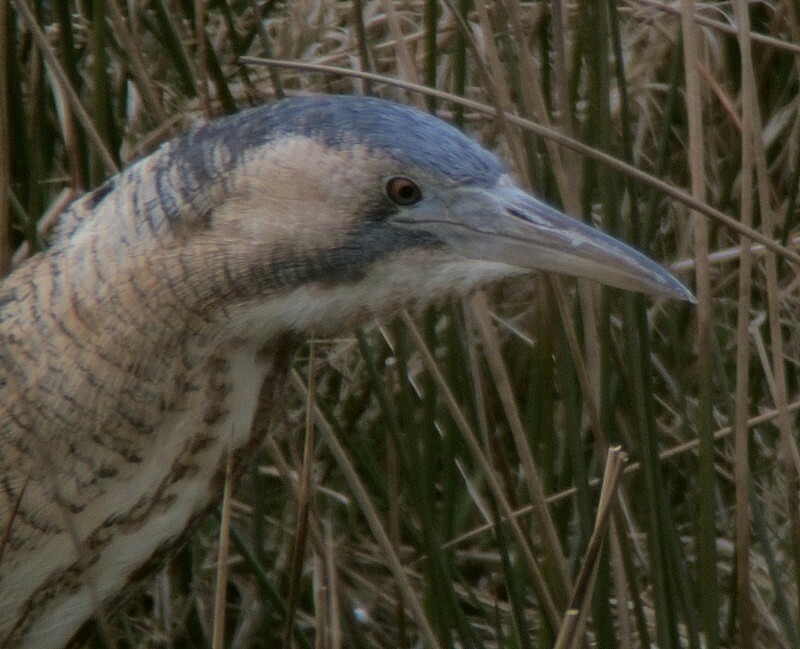 Digiscoped photos compared with DSLR and good video results of a sight rarely seen. Got to share a special moment with Tormod Amundsen on our ‘Pushing the Boundaries’ speaking tour. His first ever Caspian Gull. Pleased with photo and video results. 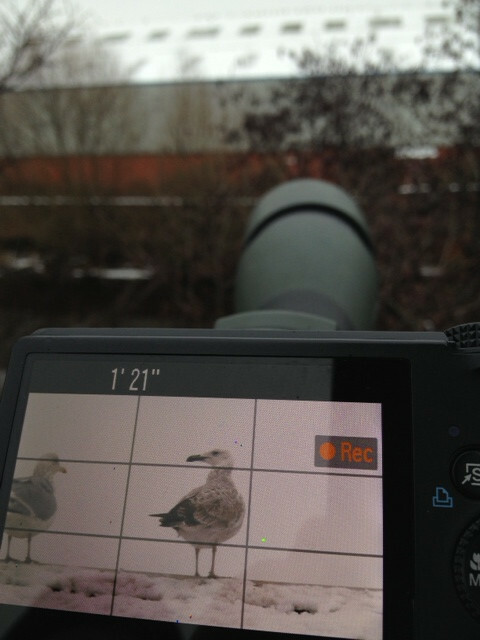 A Herring Gull, a tyre and a gargoyle atop an inaccessible sea stack made for a great digiscoping opportunity. I was impressed with the details it was possible to capture on the bird’s orange ring. The 2nd most popular post in 2012. Featuring some exotically colourful birds in Eastern Europe, this was the 2nd most popular posting on Birding Frontiers in 2012. My first encounter with the new Swarovski ATX ‘scopes and bits and some of the results obtained.